This week we asked: What does lactivism look like? Nursing freedom will happen when we create a culture of babies for whom nursing is as natural as breathing. ecosuburban blogs at Eco Journey in the Burbs. “One way I seek to normalize breastfeeding is by nursing in public, even as my nurslings get older. 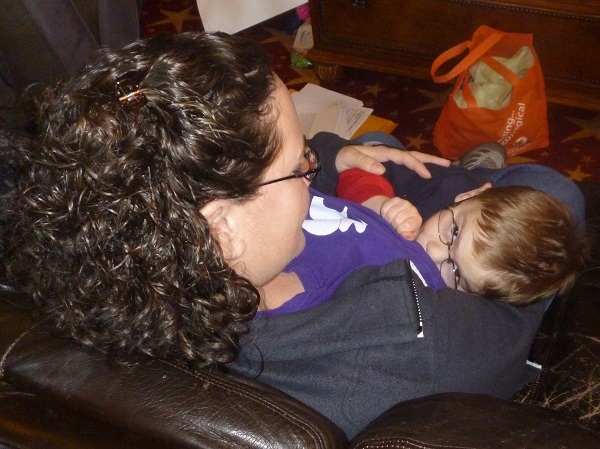 Lactivism is largely about bringing visibility to (and thus, normalizing) breastfeeding. or at a birthday party! 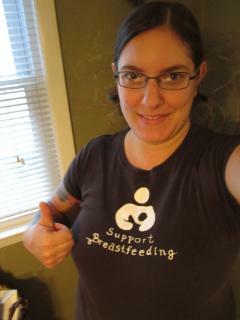 breastfeeding and intention to breastfeed her baby on the way with her lactivist T-shirt. Breastfeeding 2 year old Audrey to sleep. 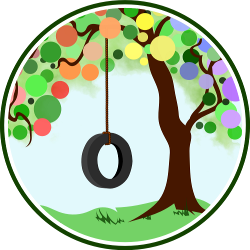 Angela blogs at Earth Mamas World. Momma Jorje promotes breastfeeding by shamelessly posting breastfeeding photos (some from public venues) on her blog and facebook pages, even submitting them to be used for articles online! Tell us: What does lactivism look like in your community? Yea! I just love seeing breastfeeding. 😀 Thank you all for sharing (here and everywhere). I love nursing pics and these are awesome! The grocery cart is too cute! Alrik is hilarious. I have an U/S pic of Spencer doing that. And Amy’s park photo is gorgeous! The table at the top… too funny! 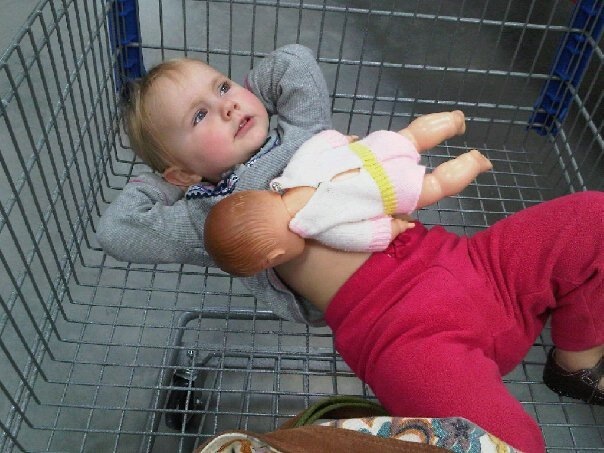 Wow, I love the kiddos who breastfeed their dolls…so cute! I’m a lactivist, too. When my baby wants a ”snack” he gets it, no matter when or where we are. My 3 year old daughter nurses her baby dolls. I have also noticed that since I had my 3rd child a few months ago, I nurse where ever, when ever, and I don’t care if the old man next to me is watching or not. I had to nurse my daughter at the doctor’s office yesterday, and I made sure to tell the older gentleman that I was nursing my daughter, he said that he didn’t care. I am finding that more and more people here in TN are not so freaked about out seeing a breast or seeing a baby nurse. Love the doll-breastfeeding photos; and the Alrik bf power photo is the funniest thing!! I love all of these! Seeing breastfeeding truly is normalizing, and each of us is part of that. 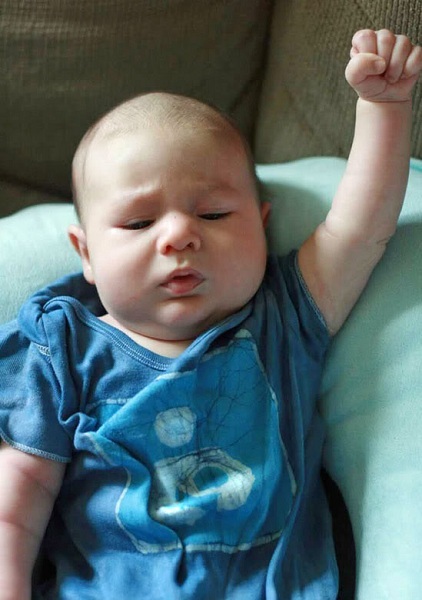 Little Alrik is just too cute with his power fist!